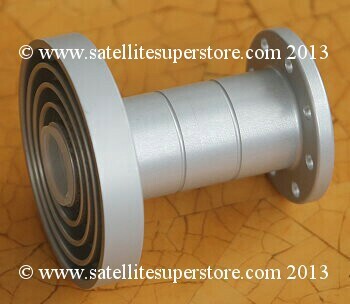 Primesat feedhorn. 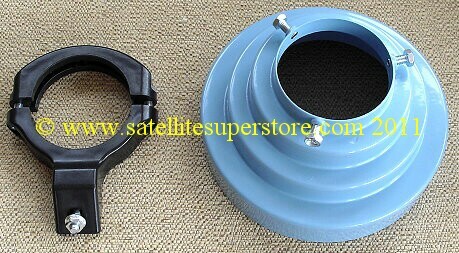 Primesat feed with c120 single LNB. 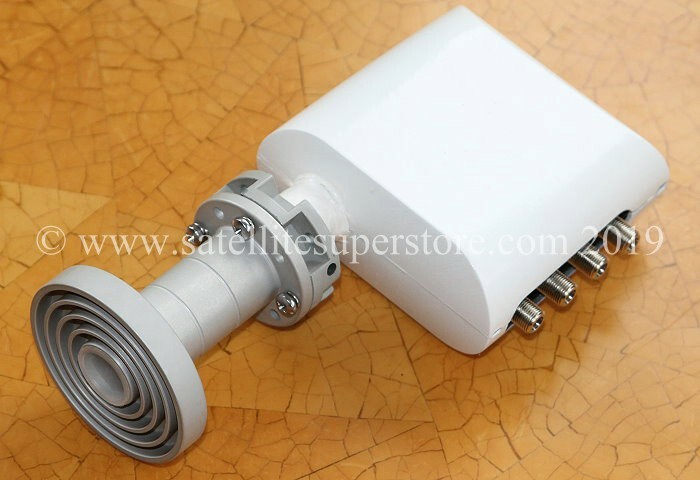 Primesat feed with c120 twin LNB. 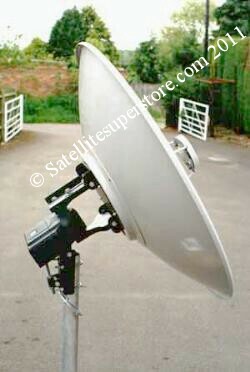 Primesat feed with c120 quad LNB. 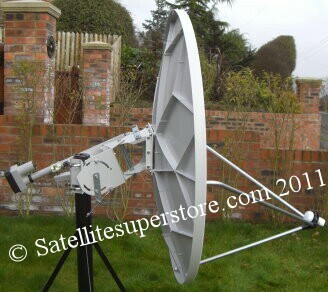 feedhorn is designed to be a perfect match for Primesat dishes. 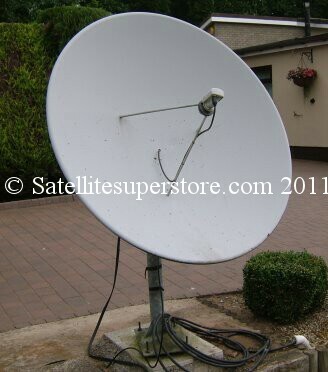 This includes the Primesat 1.4m, 1.8m and 2.3m dishes. 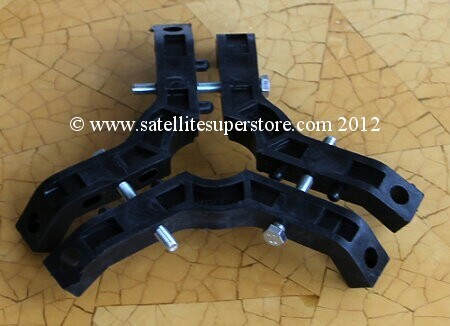 fit and should fit any prime focus dish which uses 3 feed support arms. 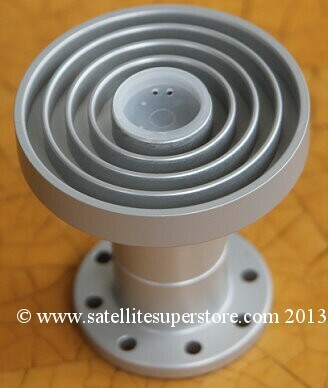 This feedhorn with single, twin, quad and quatro LNB options is available below. Scroll down the page. The excellent Inverto Black Pro single c120 flange LNB is included. 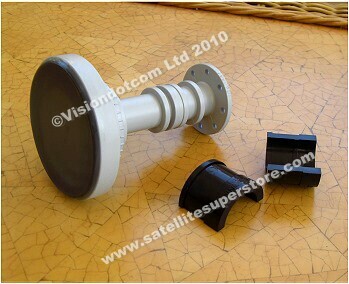 Discounted when feedhorn and LNB are purchased together. 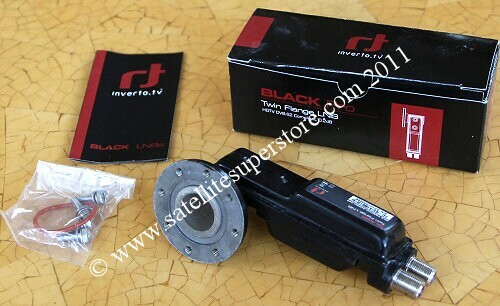 The excellent Inverto Black Pro twin c120 flange LNB is included. 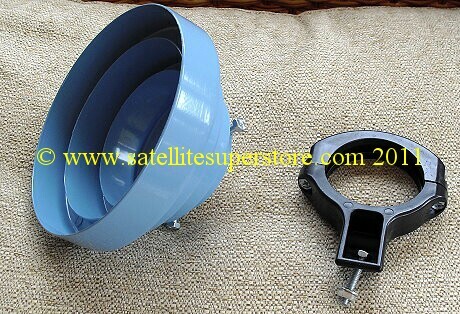 Discounted when feedhorn and LNB are purchased together. 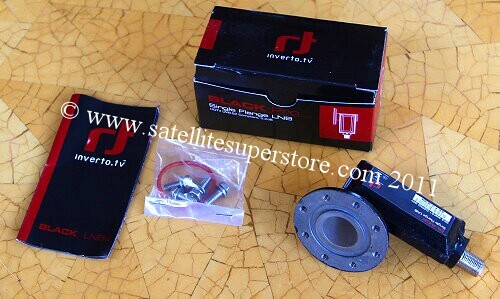 The excellent Inverto Black Pro quad c120 flange LNB is included. 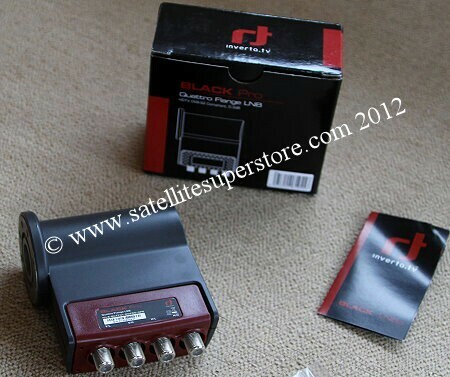 Discounted when feedhorn and LNB are purchased together. Please note, Inverto and Invacom have both discontinued their range of c120 quatro LNBs in Nov. 2017. All stock has now been sold. 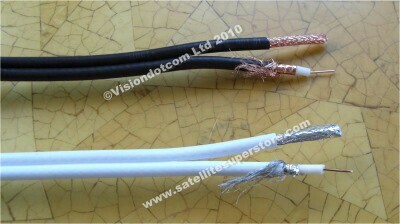 See below our new range of Primesat Platinum c120 quatro LNBs. 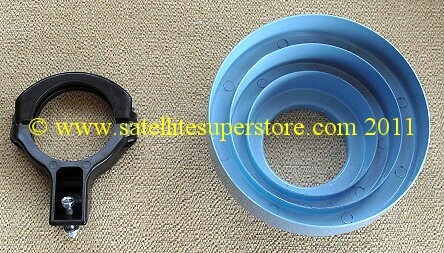 fit and should fit any prime focus dish which uses 3 feed support arms. 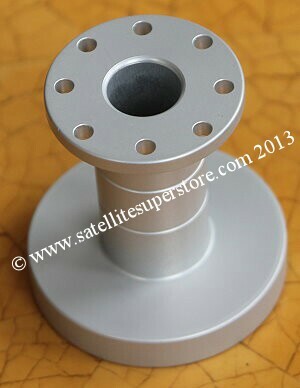 Included is a Primesat Platinum c120 flange LNB. 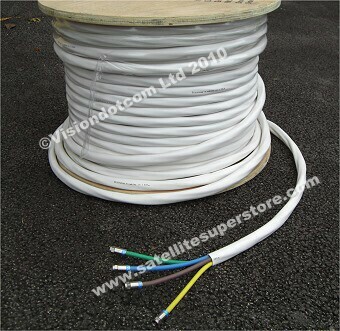 The Primesat LNBs are very good and they work well at any cable length up to 70m if good cable is used. Discounted when purchased together. Click here for more information on the Primesat c120 flange quatro LNB. 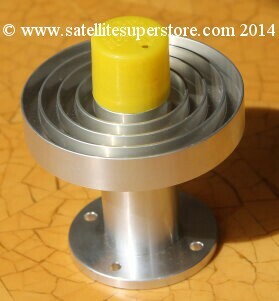 The Invacom feedhorn with yellow cap for prime focus dishes. Using the feed support boss shown above right, this feedhorn can be used with all prime focus dishes. This feedhorn has adjustable F/D and is therefore suitable for most prime focus dishes. Click here to order an Invacom feedhorn.